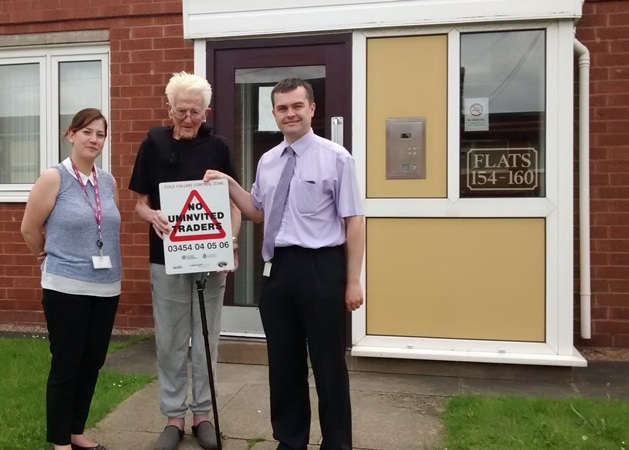 Officers from WDH and West Yorkshire Trading Standards were on hand to speak to residents as well as distribute stickers and leaflets. 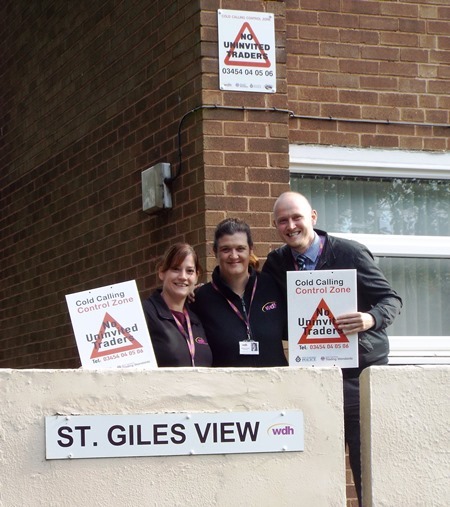 Signs will be erected at the entrances to the zone warning cold callers that they are not welcome. 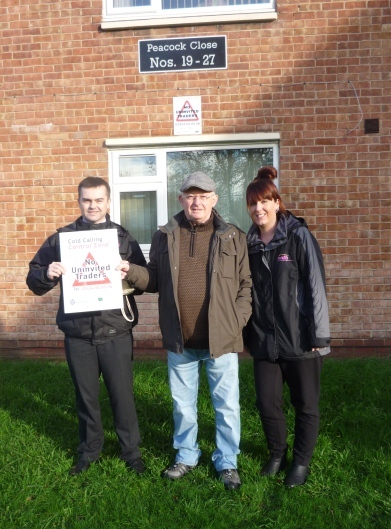 There are now Cold Calling Control Zones in many WDH neighbourhoods, arming residents with the knowledge they need to be safe within their homes but, most importantly, the confidence to say no to cold callers and prevent incidents involving rogue traders, distraction burglaries, pushy sales people and doorstep criminals. The zones act as a deterrent to constant door knocking which is often seen as a nuisance, but can also cause anxiety and stress to people.